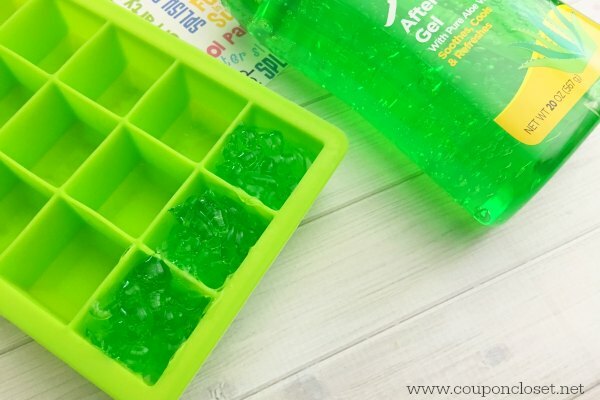 I’ve seen Aloe Vera Ice cubes on Pinterest and I thought I had to give this a try. I was pleasantly surprised that it works! Today let’s talk about how to treat a bad sunburn. It happens. 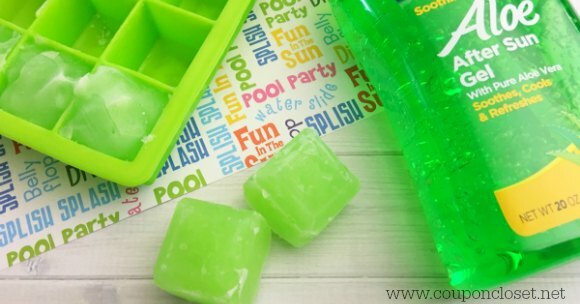 We forget to reapply the second or third time when we have been outside all day at the pool or working in the yard and a few hours later you find out that you have a very painful sunburn. Treating sunburn isn’t always easy, but one thing is sure – Aloe vera works great. It helps to cool it down and calm down the pain. 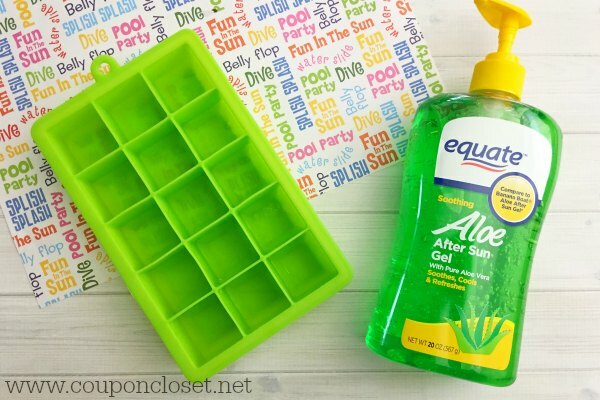 Can you freeze aloe vera gel? 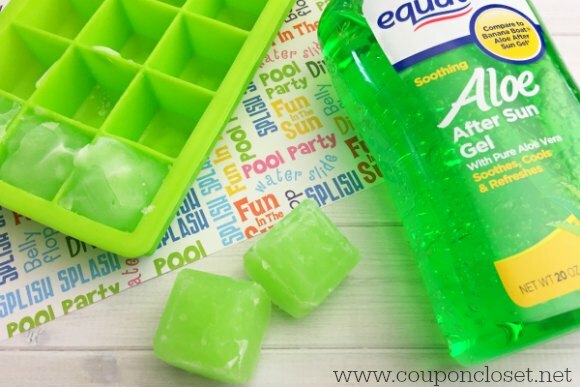 At first, I thought you couldn’t freeze aloe vera, but that is completely wrong. You can! It freezes nicely and it really does help a terrible sunburn. Aloe Vera gel is obtained from an Aloe plant and it is used to help treat burns. It is great to help cool the skin and freezing it helps even more! 1. 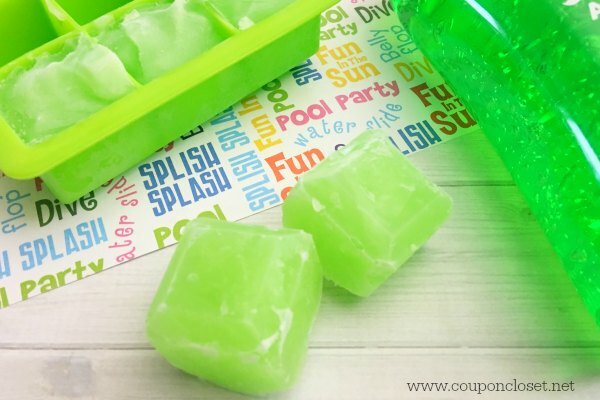 Pump out your aloe Vera into your ice cube molds. 4. 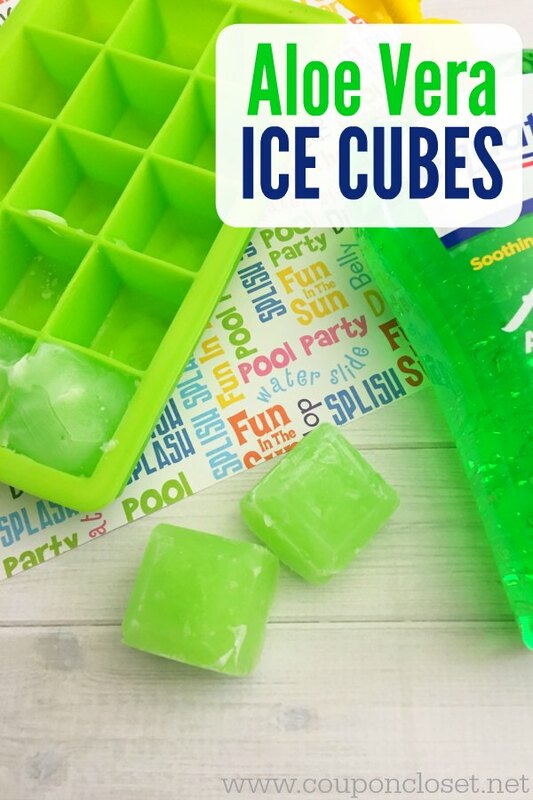 Stretch out the sides of the mold and carefully press up on the bottom of each cube to pop them out. I keep mine in a freezer bag in the freezer, so I have them ready when I need them. Make sure to get the kids involved on this one. 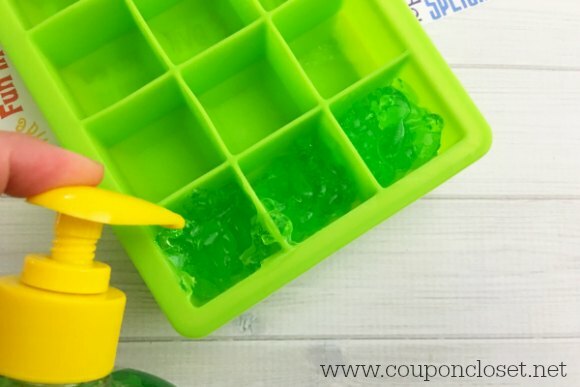 They will love helping with it and even small hands can pump the aloe vera into the ice cube trays.